In today’s health-conscious society, one of the greatest influences on consumer buying decisions is arguably a food product’s label. When shopping for a new product, more than half of U.S. consumers say they read the ingredient list. The presence of artificial fillers and preservatives along with chemically modified ingredients leads many to reach for another product containing only familiar, natural ingredients. While some whey proteins that are present in various products may be familiar to consumers, that doesn’t mean they’re always all-natural. This can cause confusion. For example, commodity whey proteins often go through various chemical modifications, and they are often used as standalone products or fillers that focus merely on maintaining protein levels, such as in the sports nutrition industry. Sometimes you’ll find commodity whey proteins used in food applications to replace nonfat dry milk (NFDM), however, the chemical modifications they go through often make them unsuitable as a replacement for other dairy products where rich textures and a creamy mouthfeel are required. Ensuring the structure and functionality of whey protein intended for use in food manufacturing, such as water-holding capabilities and durability under high-shear or extreme temperatures is a critical aspect of achieving desirable outcomes. Those types of results simply cannot be achieved with commodity whey protein products. There are a lot of different ingredients on the “no-no list” that can be used to modify texture, build viscosity and add flavor in different food products, in particular dairy applications. These ingredients are falling out of favor due to consumer and market demands for clean labels. Unlike many ingredients, Grande Bravo® Functional Whey Protein from Grande Custom Ingredients Group does not show up on the “no-no list.” This innovative ingredient stands out from commodity products in that it doesn’t undergo any chemical modifications. Similarly to tomato paste or granulated sugar which are concentrated forms of their fresh counterparts and experience a much longer shelf life, Grande Bravo is produced using similar processes to maintain its all-natural properties. When used as an alternative to premium dairy, it can provide the same rich, creamy texture and outstanding flavor without the added costs, refrigeration requirements and other drawbacks of using fresh ingredients. Watch the video to hear more. As we make our Bravo products and functional whey proteins, they all come from white Italian cheese. We put it through our proprietary manufacturing process where there’s no chemical modifications to the product. Commodity products are a little different. WPC34 or other higher protein-level whey are primarily used to increase protein and nutrition. They don’t really have the functional benefit that Grande Bravo does which has the ability to hold water. 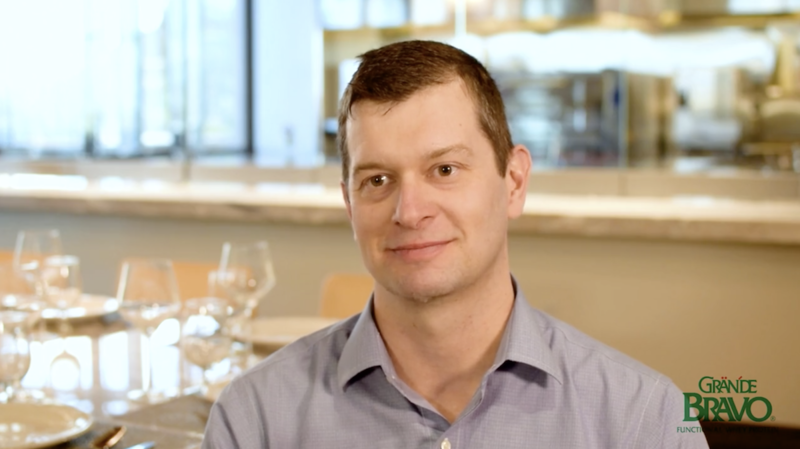 That ability to hold water is what allows Grande Bravo to replace other high-fat dairy ingredients and be used as a tool to reduce costs versus just increasing protein. 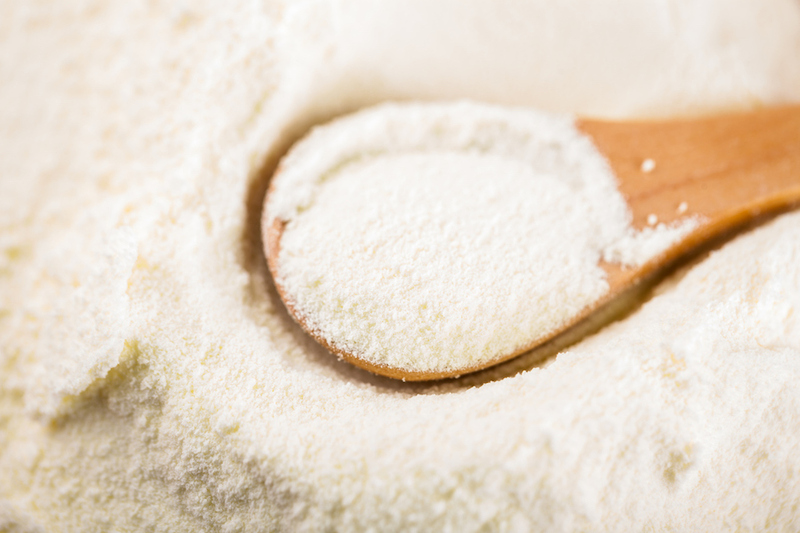 Commodity WPC34, which could have come from many different types of cheese, is primarily used for protein fortification and as a filler in food products, and as a replacement for nonfat dry milk in many formulations. Our Grande Bravo product can be used much differently to replace cheese, milk, butter and sour cream in all kinds of applications such as soups, sauces, dressings, gravies and bakery applications. It really becomes something in a food formulator’s toolbox that they can go to and use broadly within their system knowing that it will perform. Grande Bravo functional whey proteins are very different and are not commodity whey proteins. Consider Grande Bravo functional whey protein to reduce or replace high-fat, high-cost premium dairy in your applications. Reach out to the food scientists at Grande Bravo to talk more and tackle your toughest formulation challenge today.